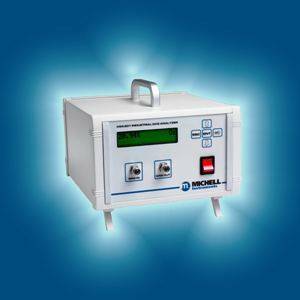 Michell Instruments has launched its most flexible and adaptable bench mounted analyser. The XGA301 can be configured to use either zirconia oxide or electrochemical cells to measure oxygen and/or infra-red technology to measure other gases such as carbon dioxide, methane and carbon monoxide. Optional moisture measurements are also available with Michell’s Easidew Ceramic Impedance sensors for moisture content (ppm) or dew point temperature. For further flexibility, any two of these measurement cells can be combined in one unit. The cost-effective XGA301 industrial gas analyser is suitable for applications where both oxygen and moisture measurements are required. The different types of sensing cell available mean a wide variety of applications can be addressed by instrument including laboratory testing, leaks in glove boxes, testing the purity of inert gases and other research experiments. The unit is also suitable for use in industry for applications such as reflow oven monitoring, nitrogen generation and food production. The analyser has many options including an internal sample pump, flame arrestor and has a simple to use HMI with an intuitive menu structure.